I often use Murano pendants with gold or silver foil inside. They are exquisite glass beads made on the island(s) of Murano near Venice. Murano glass has been made since the 13th century when the factory was moved from Venice to the islands (there are 5 of them) to protect the secret of intricately glass making from spies searching for beauty and, also, to protect both the city and the factory from fire. The beads are handmade with the artist sometimes using a lamp-work technique: the glass is thrust on a metal rod/mandrel, the little lump of glass is then heated and melted by a torch/lamp in the desired shape, an air pump helps the marvel to happen, sometimes with added layers of silver and gold leaf/foil and bits of other coloured glass added for the final touch. 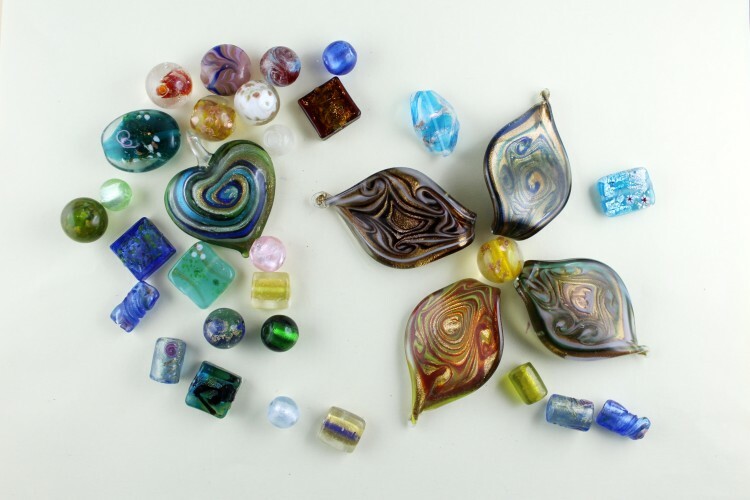 Murano-like beads are glass beads that are not made in Murano, but are made in the same lamp-working technique, using other designs. 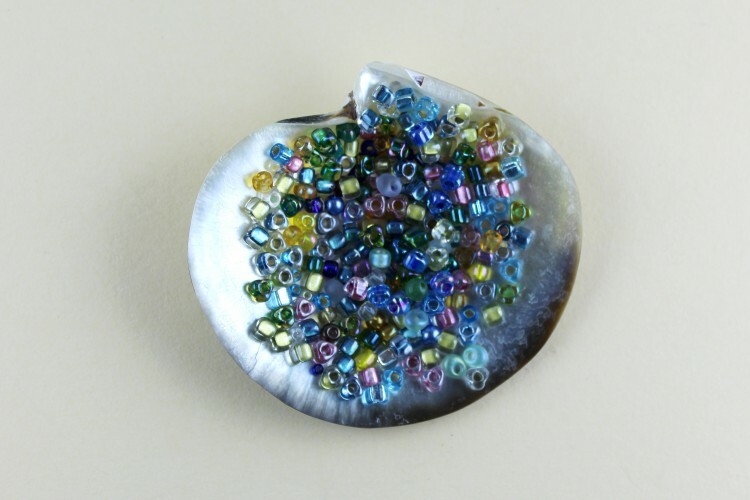 Artists in the United States compete to create unique extraordinary beads. 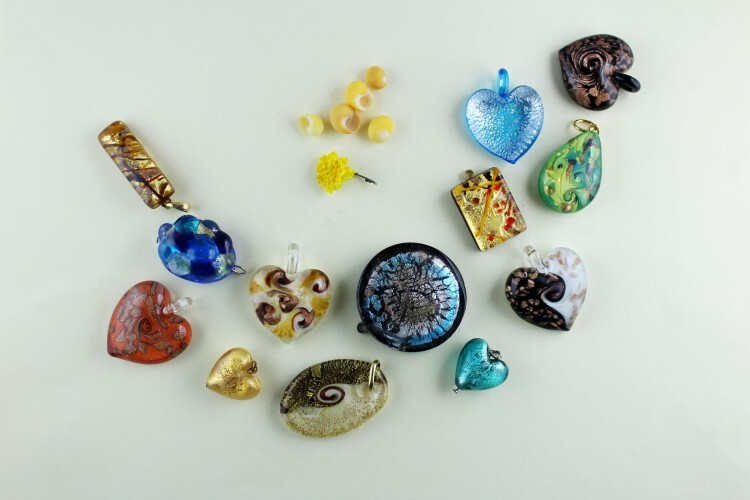 India and China are massively producing Murano-like beads. I have chosen what I believe to be the most beautiful such beads from China and India. I use fresh water pearls for my jewelry. 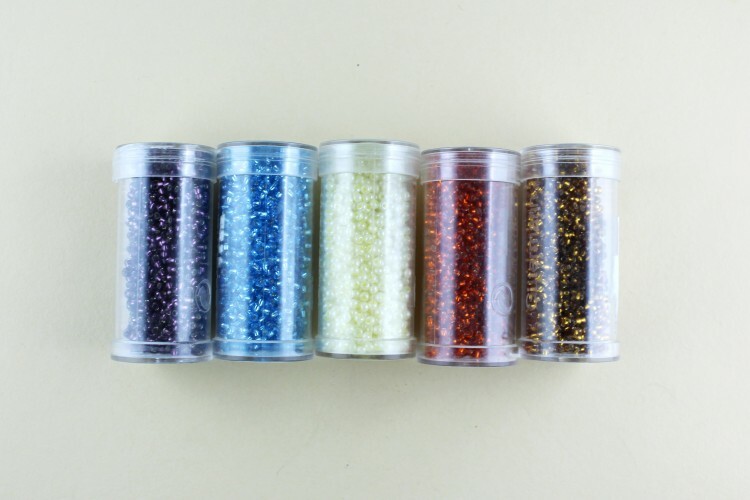 They are not as expensive as sea water ones, but they are fine, shiny and long lasting. 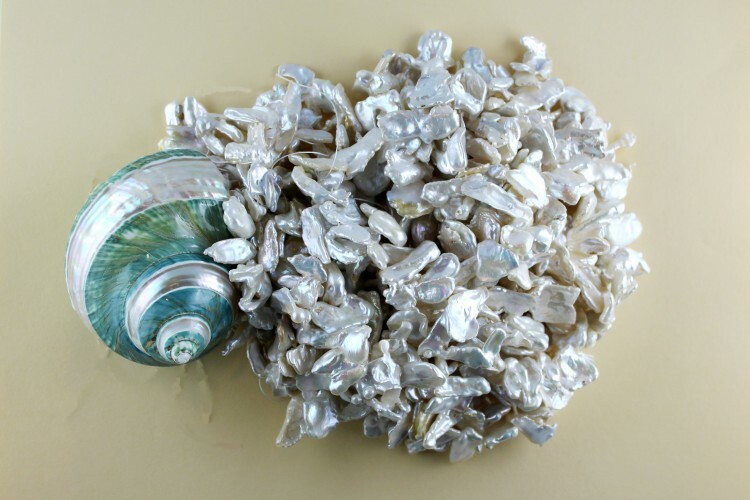 The reasons for which sea water pearls (oyster pearls) are so pricey are that they grow in the wild and the layers of nacre (mother of pearl) are thicker. The fresh water pearls my necklaces are made of are all farmed and come from China. The ones my necklaces are made of are natural A and AA graded pearls (white and grey). They are nearly perfectly spherical, smooth and shiny, about (4-5 mm/ 1/4 inch). These are natural, even if farmed, meaning they have minimum human intervention: some grain of sand or irritant is introduced inside the mollusc shell and, in defence, the creature builds layer upon layer of nacre (mother of pearl) round it, thus building the pearl. They are irregular fresh water pearls first farmed in Lake Biwa in Japan. 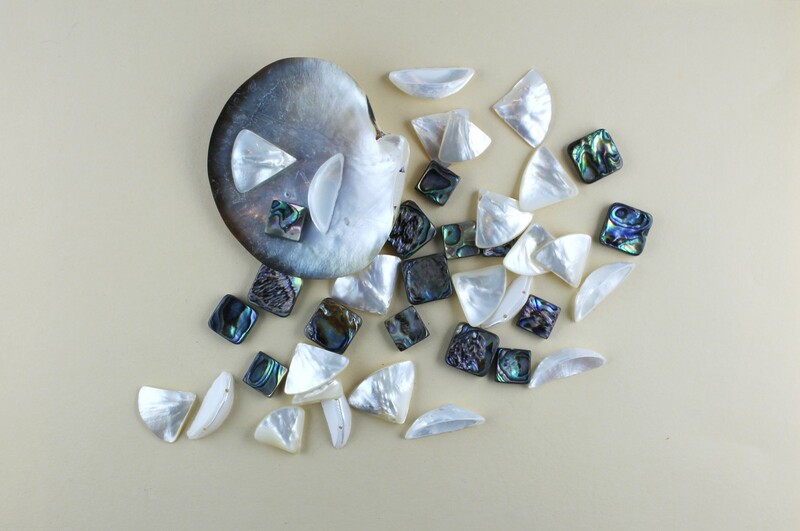 Pearl farmers put chips of mother of pearl inside living mollusc shells which, in about 4 years time, will have built layers of nacre (mother of pearl) round these irritant chips. Lake Biwa is now polluted, Biwa pearls are mainly farmed in China today. 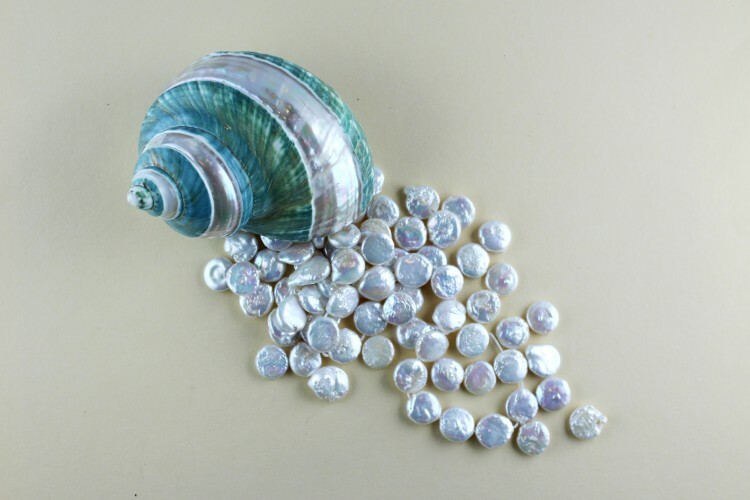 Pearls in the shape of coins obtained by implanting a coin shaped mother of pearl inside a shell, which defends itself from the intruder by building nacre (mother of pearl) round it. 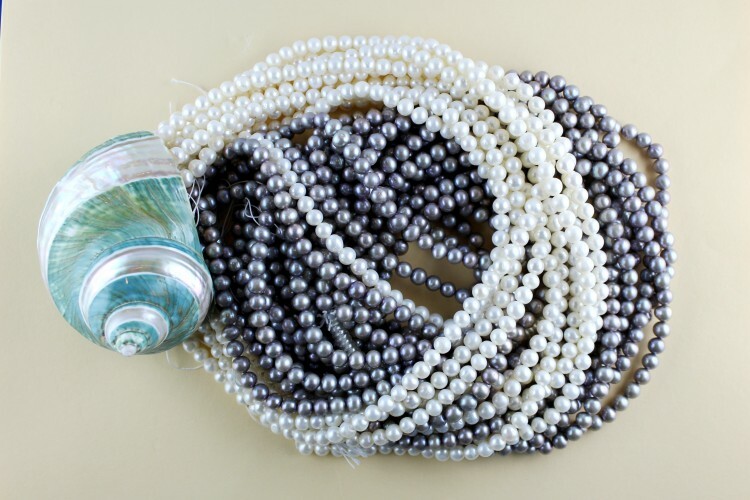 They can be called cultured pearls because of more human intervention in their making through the mother of pearl coins. Pearls are “grown out of the pearl sack of a mussel in which a pearl was carefully removed at harvest so as to not kill the mussel. Another pearl [the reborn one] will grow out of the pearl sack, after healing without another implantation of a mantle or tissue” (Newman, Renee. Pearl Buying Guide. Los Angeles: International Jewelry Publications, 2005, p. 26). They are made by a most famous factory in Japan (Miyuki Co. Ltd) founded in 1949. The quality of the glass is exquisite. I prefer triangle beads with silver foil inside for the shining effects they have. In Japanese “Miyuki” is a girl’s name and it means several things, among which “happiness” and “good fortune”. The name means “ a thousand flowers” in Italian. The flower motif is not painted on the beads, it is created by pressing glass rods together, one inside the other so that the cross section looks like a little flower. The technique goes back to ancient Roman times. The ones that I use are made in China. 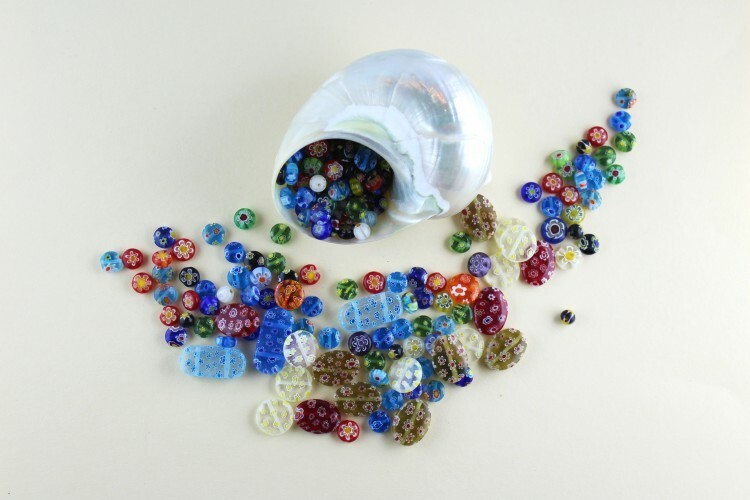 They are very small glass beads with a large hole for the thread made in Europe in the Czech Republic. 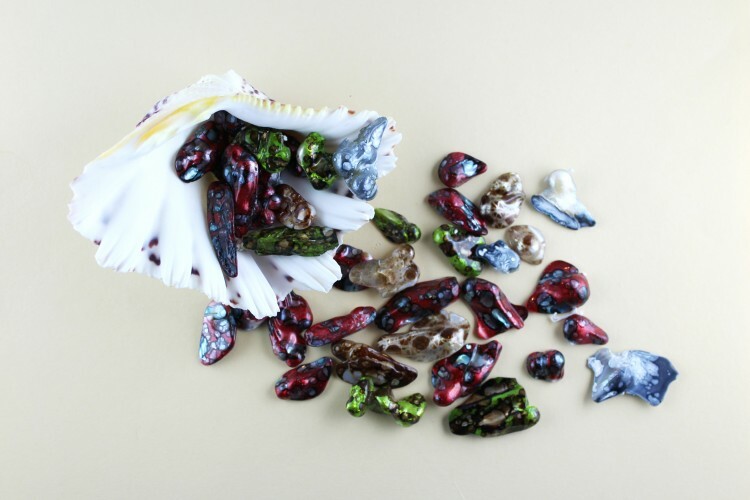 Dalice Jewelry sometimes make use of other materials: mother of pearl beads, coral, Chinese multifaceted glass beads and semiprecious stones: opal, onyx, quartz, agate, amethyst, jasper, jet etc.